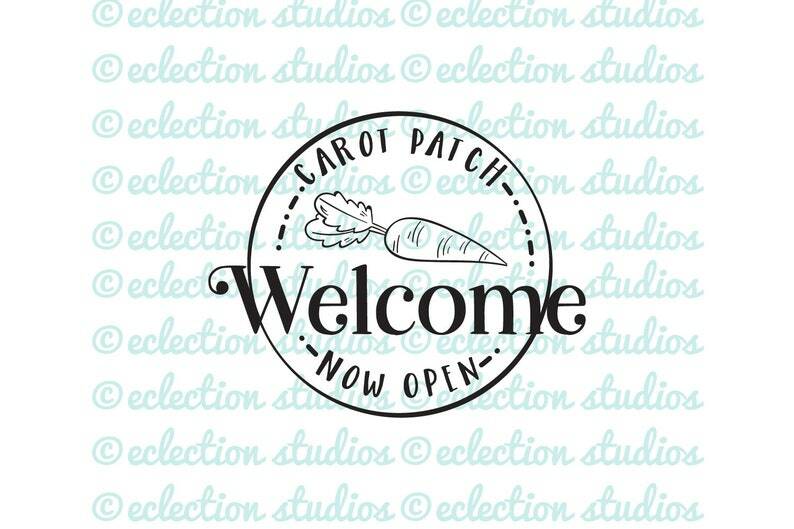 "Welcome Carrot Patch Now Open" round sign with carrot details word art design in JPEG, PNG, SVG, DXF, and EPS file formats ready for to print, cut, or add to your own creations. This file is great for vinyl projects, decals, shirt designs, and screen printing. You can use this file in to create physical handmade projects for personal or professional profit - but you cannot use it in mass production or redistribute this file or design in any manner.